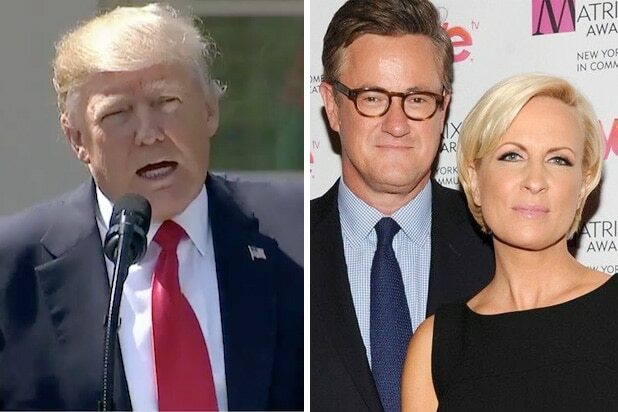 Joe Scarborough put on his former GOP Congressman hat on Thursday, blasting Democratic senators on the Judiciary Committee for “outing” Brett Kavanaugh accuser Christine Blasey Ford against her wishes at the 11th hour. “They waited until they basically put their finger up in the political winds and they knew that Kavanaugh was going to pass, and then somebody on the Senate Judiciary Committee, or perhaps out of a democratic congresswoman’s office, said ‘well, it looks like he’s going to pass, we’re going to shove this lady out of the closet and basically identify her,'” he said. Scarborough believes it was the second time in living memory that Democratic senators on the committee had botched an accusation against a nominee — alluding to the 1991 allegations against Clarence Thomas by Anita Hill. Though Ford finally went public on Sunday with her allegation that Kavanaugh sexually assaulted her while drunk at a party in the early 1980s, she told her senator, Democrat Diane Feinstein, in a letter months ago. Though Ford requested Feinstein keep the allegation quiet, it’s unclear what, if anything, the Senator did to alert relevant parties before Kavanaugh was nominated. Kavanaugh has categorically denied any wrongdoing. Still, the allegations spooked the Senate Judiciary committee enough to delay a planned vote on Kavanaugh on Thursday. Both Kavanaugh and Ford have been invited to offer additional testimony under oath next week, though Ford’s attorney has said that her client would prefer to speak after a full FBI investigation of her accusations — something GOP senators are so far resisting.